Welcome home! You have landed at the best Minder, The Sweeney and The Professionals forum on the web. Since 1997 minder.org has been number 1 on the web for fans TV's 'Minder' and its four stars George Cole, Dennis Waterman, Gary Webster and Glynn Edwards. You can also find information about the remake of the show that starred Shane Richie and Lex Shrapnel. On this page you will find all the facts you need to know about Minder - please explore the menus and links above for much more information on the show. 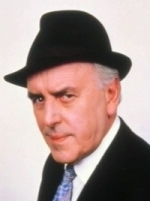 Minder was created by the writer Leon Griffiths. The series was first broadcast in October 1979 and came to an end in March 1994. In 2009, a further six episodes of the show were produced with brand new characters. The show featured four main characters during its initial run, the legendary George Cole as Arthur Daley, Dennis Waterman as his minder Terry McCann, replaced from series eight onwards by Gary Webster as Ray Daley, Arthur's nephew. 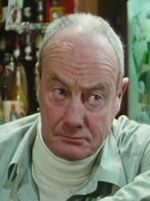 The series also starred Glynn Edwards as Dave 'The Barman' Harris. 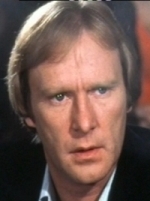 During the 70s and 80s The Terry McCann Years is the original series that featured Dennis Waterman as Arthur's original hard man Minder Terry McCann. 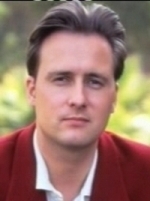 In 1991 this series was followed by The Ray Daley Years that featured Gary Webster as Arthur's nephew Ray Daley until 1994. In 2009, Shane Richie starred in a six episode remake of Minder as Arthur's nephew Archie Daley, with his minder Jamie Cartwright played by Lex Shrapnel. The series contained 106 regular episodes and two feature length specials 'Minder On The Orient Express' in 1985 and 'An Officer & A Car Salesman' in 1988. Between 1979 and 1994 there were ten series. Two additional episodes also exist which are often not considered part of the original series - 'A Little Bit of Give & Take', an unbroadcast schools-only special and 'Number', a premium bonds feature that is the only Minder related production not to feature Arthur Daley. Both of these were made in 1986. Details of these and all Minder episodes, including locations, bloopers and interesting facts can be found in our comprehensive and in-depth episode guide. Want more? Join the forum!